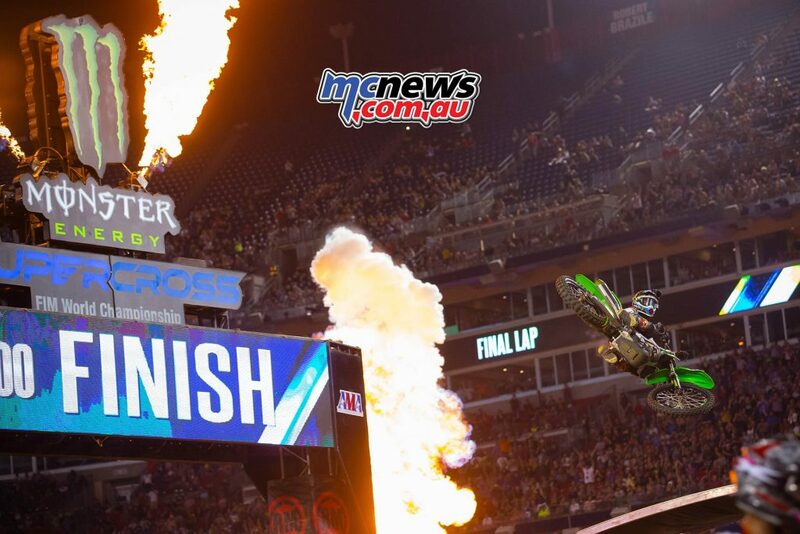 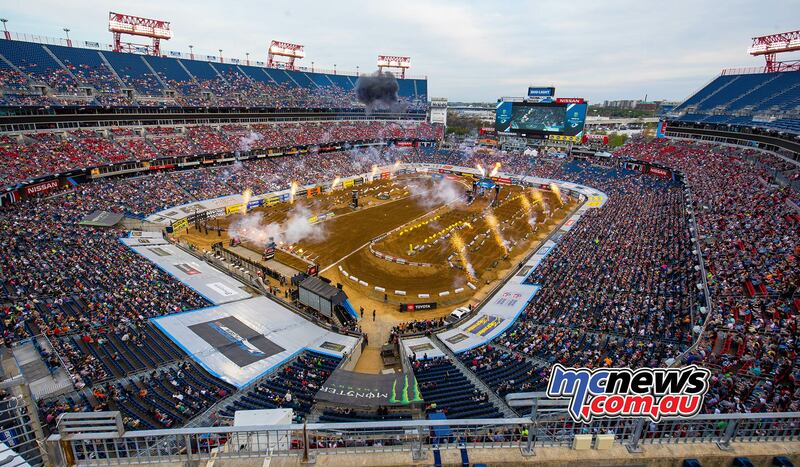 Nashville hosted the 14th round of the AMA Supercross Championships last weekend and it was a night that saw a series of ups and downs for Team Green. 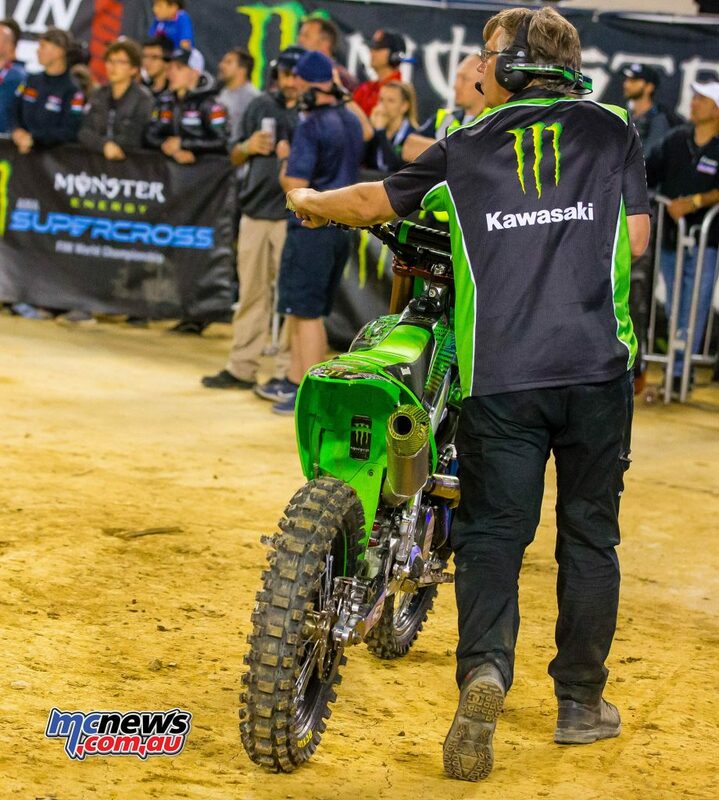 The first blow for Kawasaki came when 250 East Coast Championship leader Austin Forkner had his traditional practice crash, but this time the Pro-Circuit Kawasaki pilot was forced to sit out the night with a knee injury. 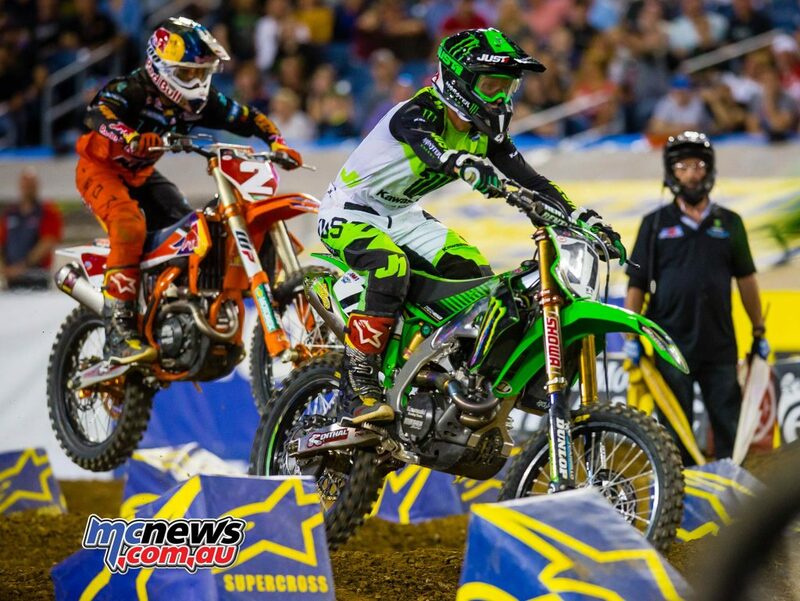 It was also not looking great for Kawasaki in the 450 category after Eli Tomac was forced to the LCQ, his KX450F ground to a halt while the 26-year-old was leading his heat race. 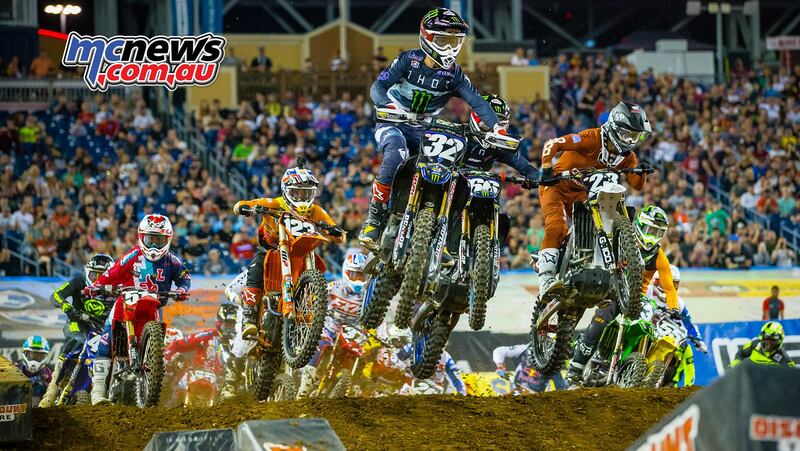 Heat race winner Ken Roczen was in a class of his own leading into the main event. Championship leader Cooper Webb had looked far from convincing, both during qualifying and his heat, but the plucky KTM rider shook those shackles off come the main and pulled the holeshot ahead of Blake Baggett, Marvin Musquin, Joy Savatgy, Roczen, Dean Wilson and Tomac when the main got underway. 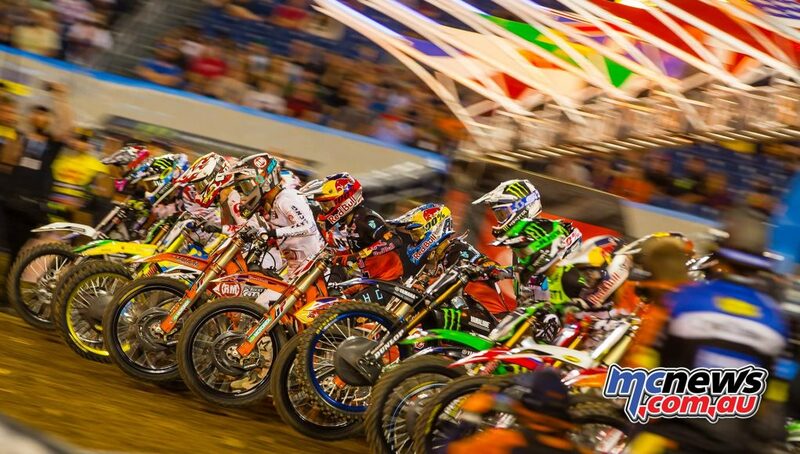 There was a palpable tension in the stadium when Musquin move to second and immediately started putting pressure on his team-mate, followed by an audible gasp from the crowd when Marvin crashed out of the whoops section on lap three. 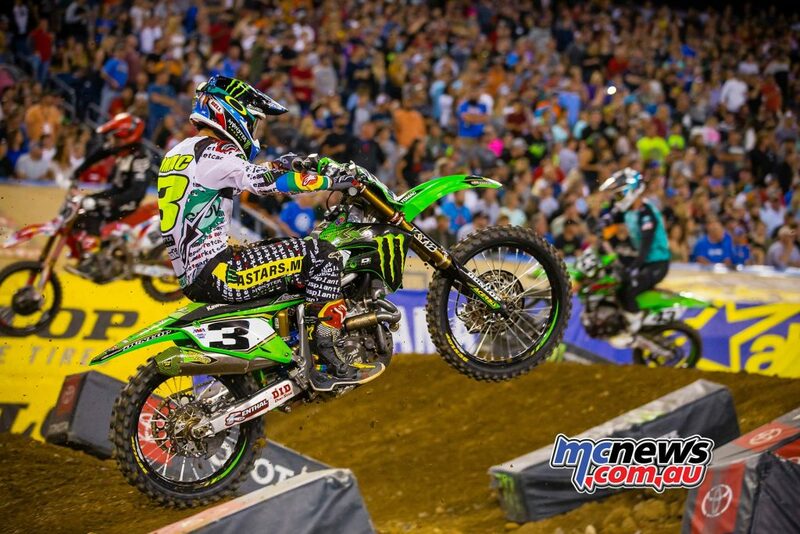 Savatgy inherited second but the big mover was Roczen, the German soon all over the Kawasaki rider. 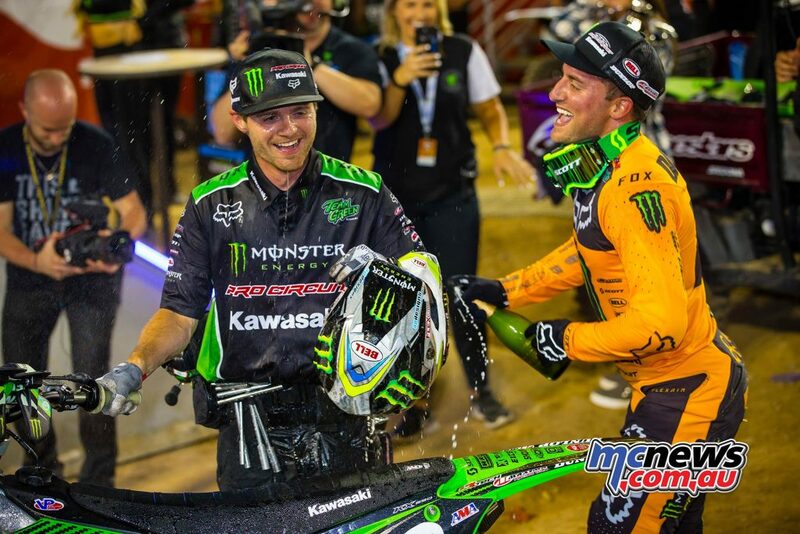 Then Savatgy lost the front of his Kawasaki going into a bowl right hander, forcing Roczen to crash into the downed KX, before then falling over the back of the berm and tumbling down into another part of the track. 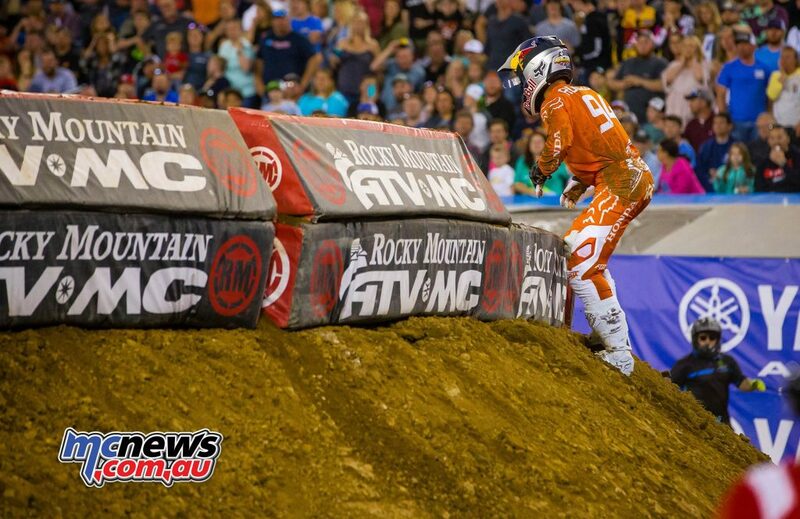 Savatgy had been carted off the track with what looked like a broken collarbone. 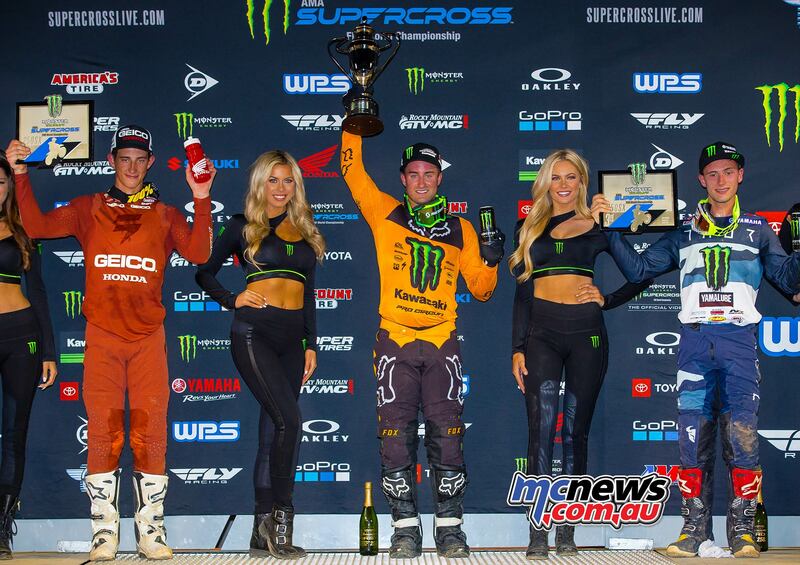 Webb was gifted a handy lead but he was still clearly struggling through the two whoop sections. 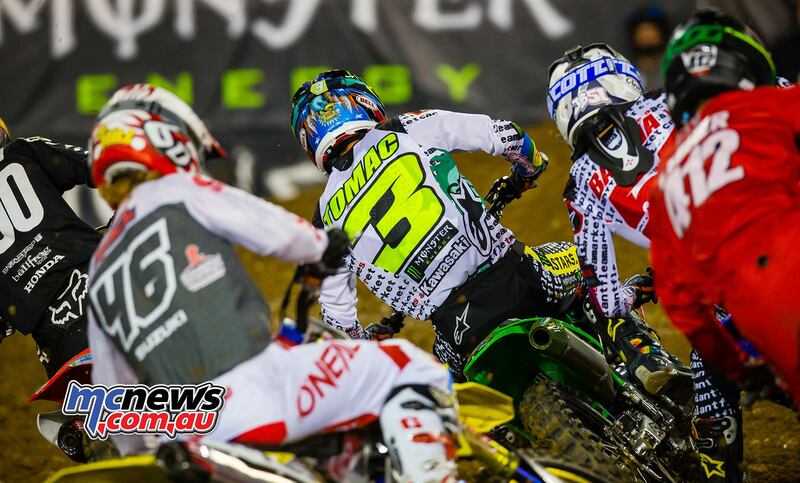 It wasn’t long before Eli Tomac was finding his mojo and raced by Wilson, Baggett and Webb to take the lead. 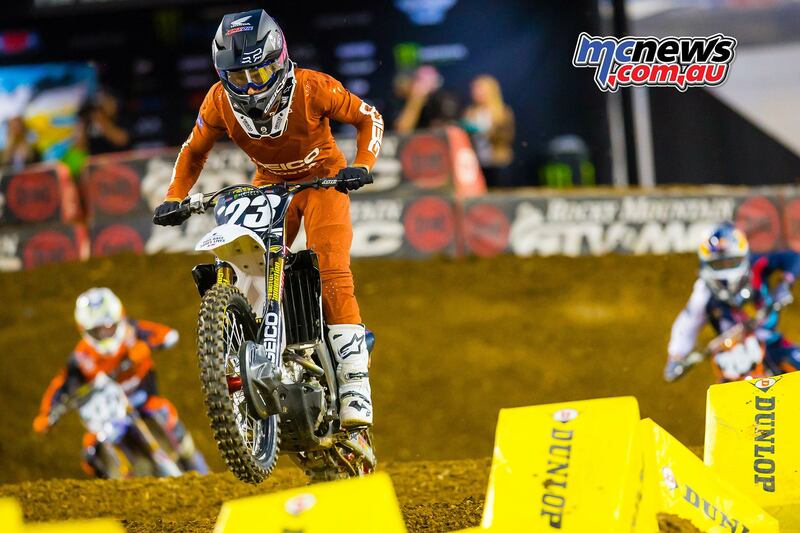 A few laps later Baggett move to second ahead of Webb. 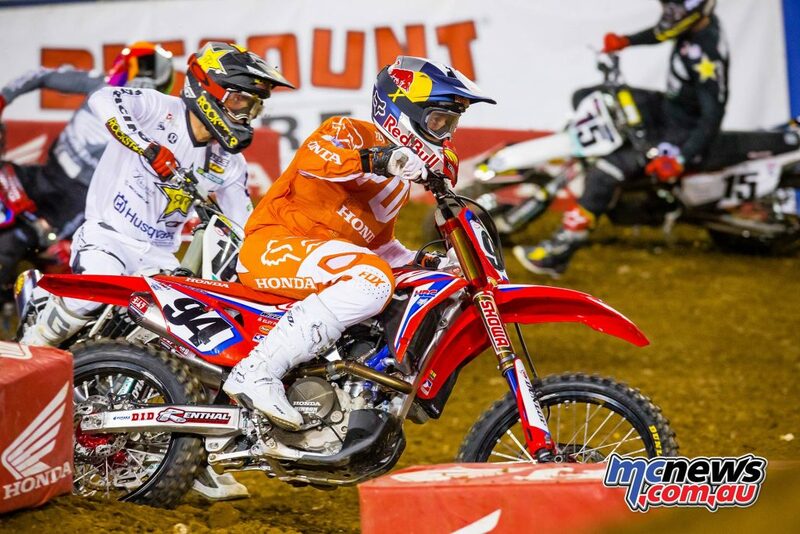 Musquin worked his way up through the field in a desperate attempt to salvage points and Roczen was on a similar come from behind mission. 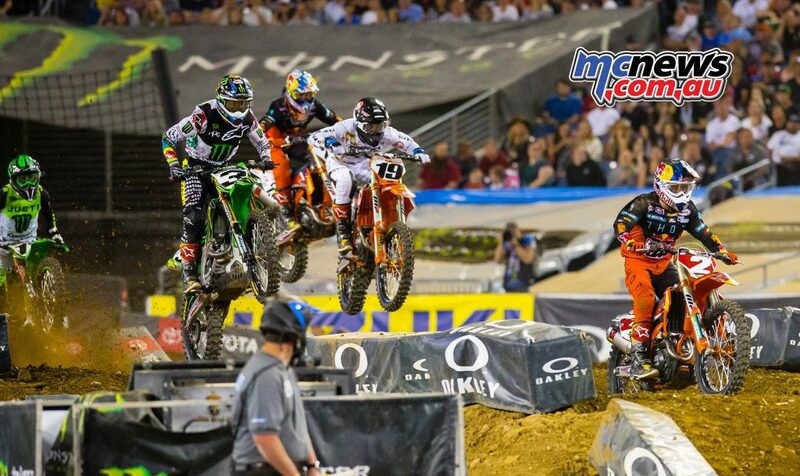 Tomac took the chequered flag well ahead of Baggett, who had Webb right on his back wheel all of the way to the line. 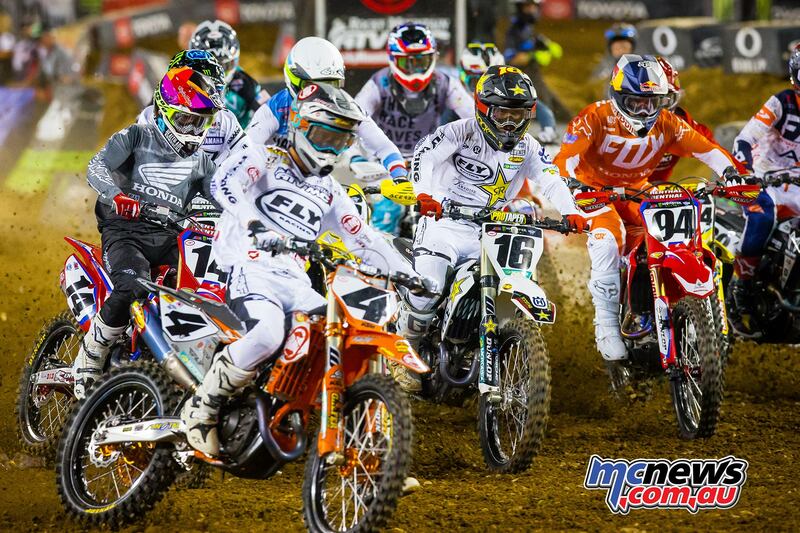 Wilson, Osborne, Musquin, Seely, Roczen, Bogle and Bowers rounded out the top ten. 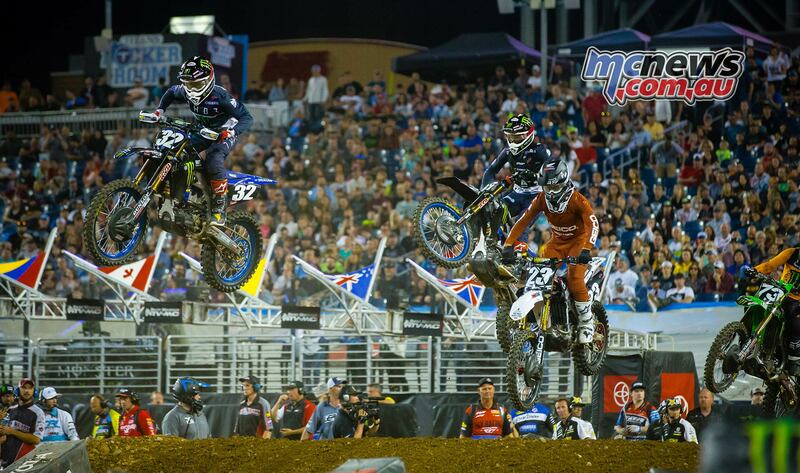 Not what they had wished for but still a far better outcome than non-finishers Justin Barcia, Justin Hill, Joshua Grant and Savatgy. 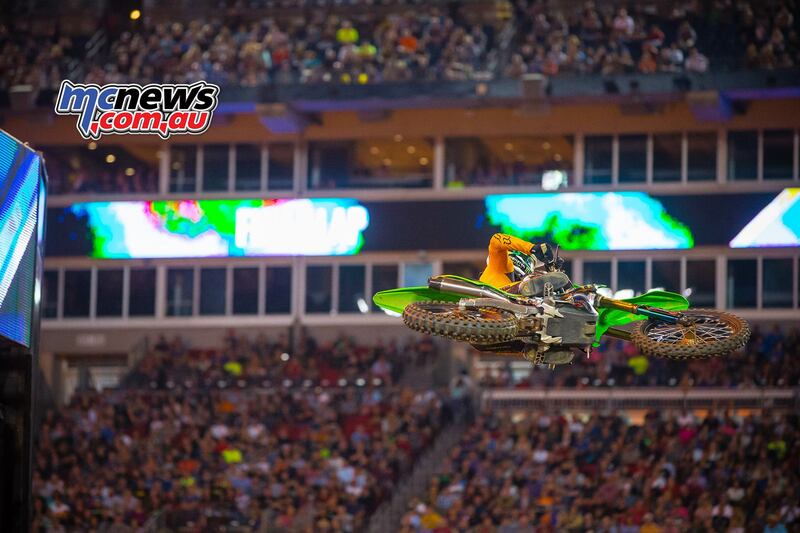 Webb now has a 21-point lead over Tomac and Musquin with three rounds remaining. 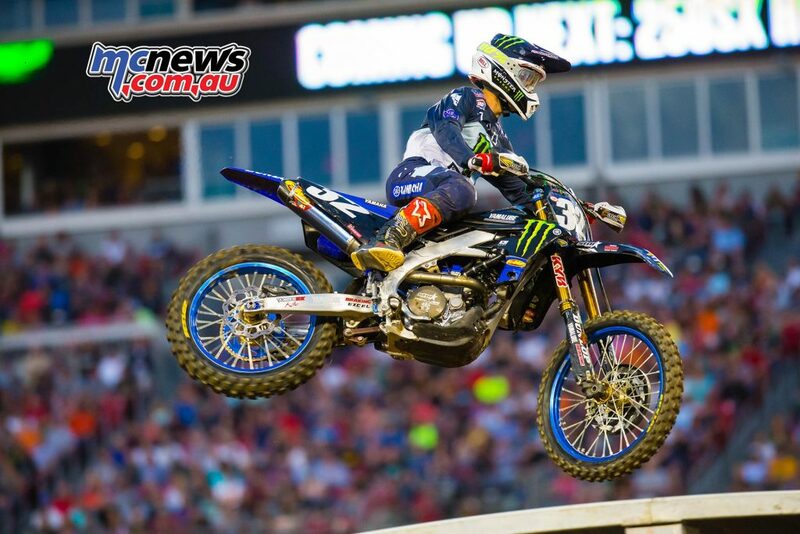 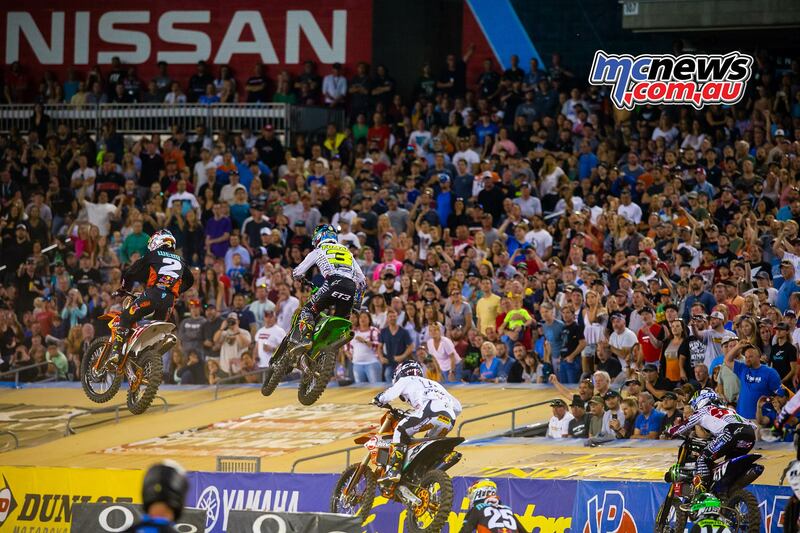 Three more top four finishes would be enough for Webb to win the crown, no matter where other riders finish. But there is still plenty of mouth-watering racing to come. 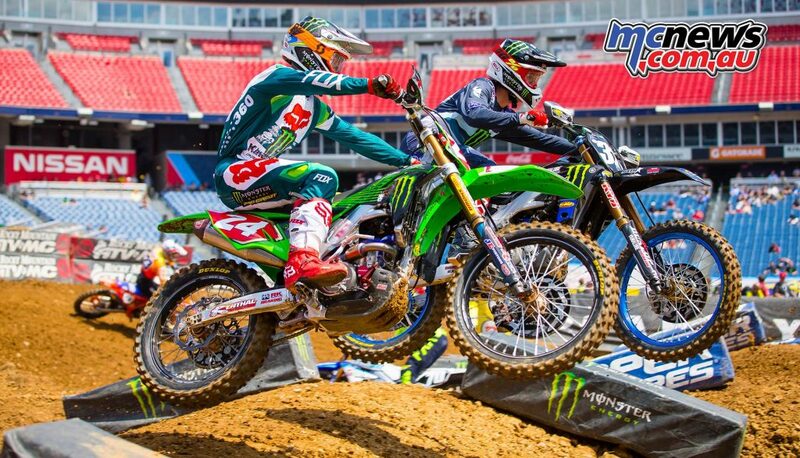 Chase Sexton and Justin Cooper came into Nashville 26 and 28-points behind Forkner respectively so this was as good a chance for them to make up serious ground on the championship leader who had to sit out the main with a knee injury. 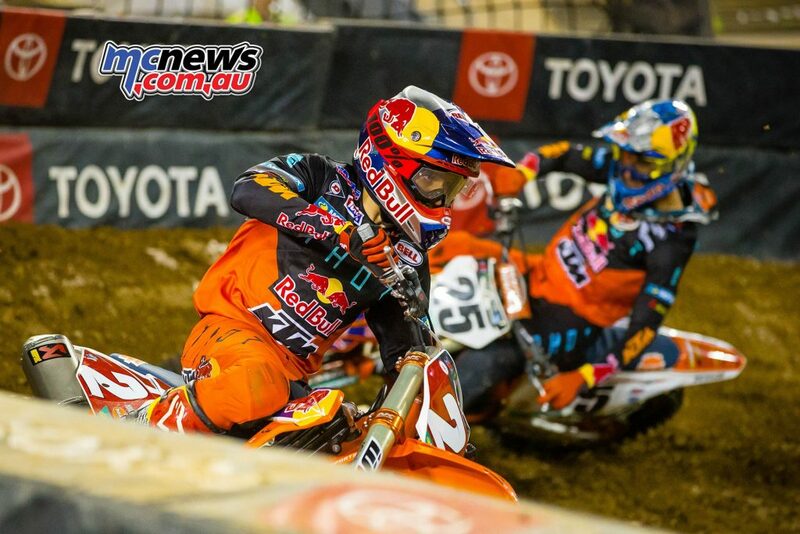 The pair looked on track to perhaps make that happen when they came through turn one together, Sexton leading Cooper. Unfortunately for both riders Cooper then had a complete brain fade in the second corner, not only dive-bombing Sexton but then also running into the Honda rider so high that they locked bikes and fell into each other. 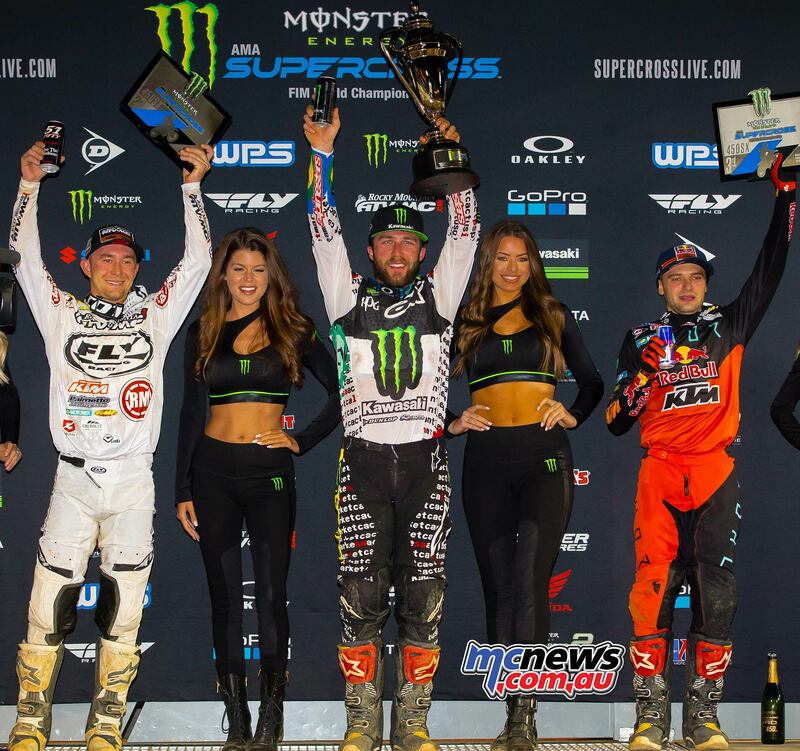 While Cooper and Sexton went through the traditional frantic bike pick up scenario, Davalos inherited the lead and romped away to the win, doing his team-mate in Austin Forkner a massive favour in the process. Well behind Davalos the action was aplenty as Sexton and Cooper sliced there way back through the field and by race end had promoted themselves back onto the podium. 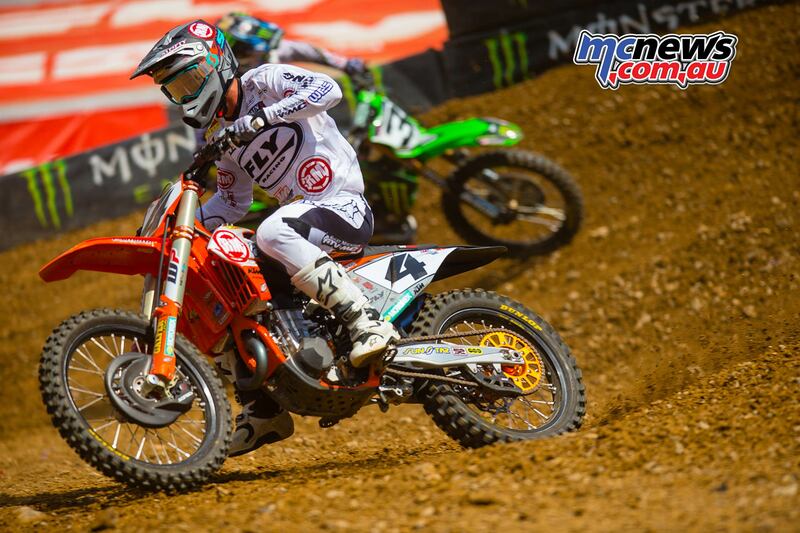 Sexton will head to the next round only three-points adrift of Forkner.